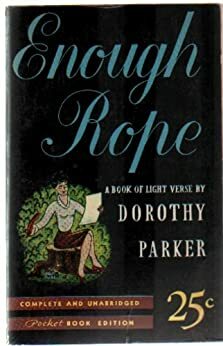 Resume is from Parker’s 1926 book Enough Rope. I first encountered this poem in college when I was going through a particularly extended bout of depression. By that time, I’d analyzed all kinds of ways to commit suicide. I still do in dark moments. But I remember this poem, and with it recall that life is absurd, satire can be cleansing, and it is often better to laugh than to cry. Parker attempted suicide at least three times. She wrote this poem during an extended period of depression. I just want to sit in the bath and cry. I just want to put my gray socks on. I just want to lie as still as a stone. What’s your favorite piece of cathartic art? Leave a comment with your email* address on this post (or any other post on my blog that is for the Suicide Prevention Week Hop) to enter to win a $6 Amazon GC. Comments must be made by midnight Eastern on 9.14.13. I encourage you to visit other authors on this hop by clicking the icon below. You can also enter a $50 Amazon GC giveaway at this link. *Email addresses may be used to send you a periodic newsletter from Katya Armock. Email addresses will not be shared or sold. Music was what I always went to when I was growing up and having what my mom called “growing pains”. Those times in your teen years when the world hates you and would be better without you in it. I would hang out in my room and listen to my 8-tracks (yeah, I’m that old!). Mom would listen in and if she thought the music was too dark or depressing then she’d come in and check me out. The best thing to take me away from my troubles is disappearing into books. Of course, I’ve been known to share in the troubles of characters I’m reading if it’s litfic (they have the stickiest emotions), so it’s definitely best for me to go into romance or action-packed thrillers or mysteries. I’m glad you’ve found things that help you through the hard times. Books are great too. I agree that I like to stick with HEA endings. When I was younger, I was more into tragic books and movies. Now I like the lighter side of life most often. When I was in college I made a mix tape I called “for those moments.” It was full of emotional songs that I would listen to when I was feeling depressed. I still have a play list for those moments. Although I’ll admit I listened more often when I was younger. When I was feeling up to it I would turn to books or music, sometimes both at the same time. There have been plenty of times I just want to lay there (and hope my troubles went away on it’s own) or just go to sleep so I wouldn’t be so troubled by what was bothering me. I usually like to turn t books or music, sometimes both at the same time as an escape from my troubles. When that doesn’t help I just lay there and hope all my troubles will go away on it’s own or go to sleep.